WASHINGTON, D.C.-- Renowned musician and philanthropist Jon Bon Jovi will receive the 2017 Service to America Leadership Award from the NAB Education Foundation (NABEF) for his ongoing efforts to combat poverty and homelessness. 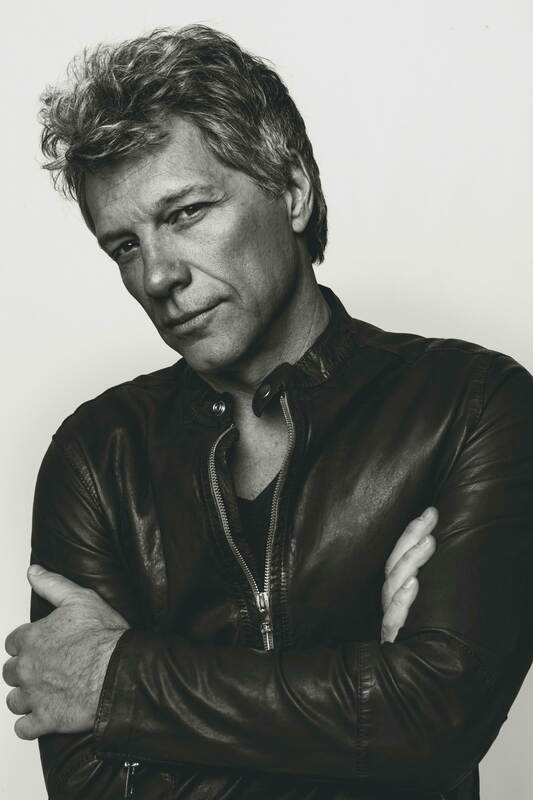 Mr. Bon Jovi, whose music and public service signify the spirit of America and the principles that define the nation, will receive the honor at NABEF�s Celebration of Service to America Awards on June 20 in Washington, D.C. The Service to America Leadership Award recognizes individuals and organizations responsible for improving the lives of others through extraordinary public service. Considered NABEF�s highest individual honor, the award will be presented during the Celebration of Service to America Awards, held Tuesday, June 20 at the Andrew W. Mellon Auditorium in Washington, D.C.
Mr. Bon Jovi is the front man of the iconic Grammy Award-winning band Bon Jovi, which has been credited as one of the most successful rock bands in the world. Over three decades, the group has sold more than 130 million albums and performed nearly 3,000 concerts in over 50 countries for more than 37.5 million fans. Mr. Bon Jovi is also chairman of the Jon Bon Jovi Soul Foundation, a non-profit organization dedicated to fostering positive change and helping the lives of those in need �one soul at a time.� Specifically, the foundation supports programs and partnerships targeted at breaking the cycle of poverty and homelessness in the United States. To date, the Soul Foundation has provided grants to nonprofit organizations across the nation working to create affordable housing for thousands of low-income individuals and families. In October 2011, the Soul Foundation opened the first JBJ Soul Kitchen in Red Bank, New Jersey, which is Mr. Bon Jovi�s home state. The Soul Kitchen addresses the issue of food insecurity and has served over 60,000 meals. In May 2016, the foundation, along with Fulfill (formerly known as the FoodBank of Monmouth and Ocean Counties) and The Peoples Pantry (INSPIRE NJ) opened The B.E.A.T. Center (Bring Everyone All Together). The community hub allows families and individuals in need to access food, job training and other resources in Ocean County, New Jersey. Also, The B.E.A.T. Center houses the second JBJ Soul Kitchen. The foundation also aided in local recovery efforts in the days following Hurricane Sandy in 2012. The following year, Bon Jovi donated $1 million to the Hurricane Sandy New Jersey Relief Fund. This years� Service to America award winners are listed here. Additional information about the Celebration of Service to America Awards is available here. News media interested in attending should contact Dan Lemle. The Celebration of Service to America Awards are sponsored and produced by NABEF with major support from the National Association of Broadcasters and presenting sponsors Bonneville International and Hearst Television. In recent years, Sharon Stone; Gary Sinise; Paul Simon; Stevie Wonder; Glenn Close; Jeff Bridges; Quincy Jones; Sir Elton John; Bill Clinton; Laura Bush; Muhammad Ali; Jimmy and Rosalyn Carter; and Nancy Reagan; among others, have been presented with the Celebration of Service to America Leadership Award at the event. Details about the Celebration of Service to America Awards are available at http://www.nabef.org/events/sta/.